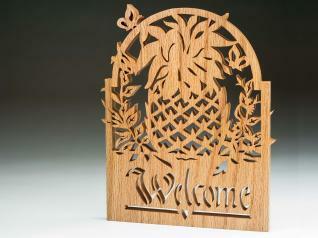 In the Summer 2011 issue of Scroll Saw Woodworking & Crafts (SSW43), Gloria Cosgrove offers a pattern for a pineapple welcome sign. A time-honored symbol of hospitality, this pineapple includes charming flowers and butterflies with its welcoming message. Dale Helgerson cut the project from a piece of red oak. Cut the sign from 1/8″ to 1/4″ (3mm to 6mm)-thick wood and display it as cut or mount it on a contrasting backing board. If you plan to hang the sign outside, finish it with weather-resistant polyurethane. 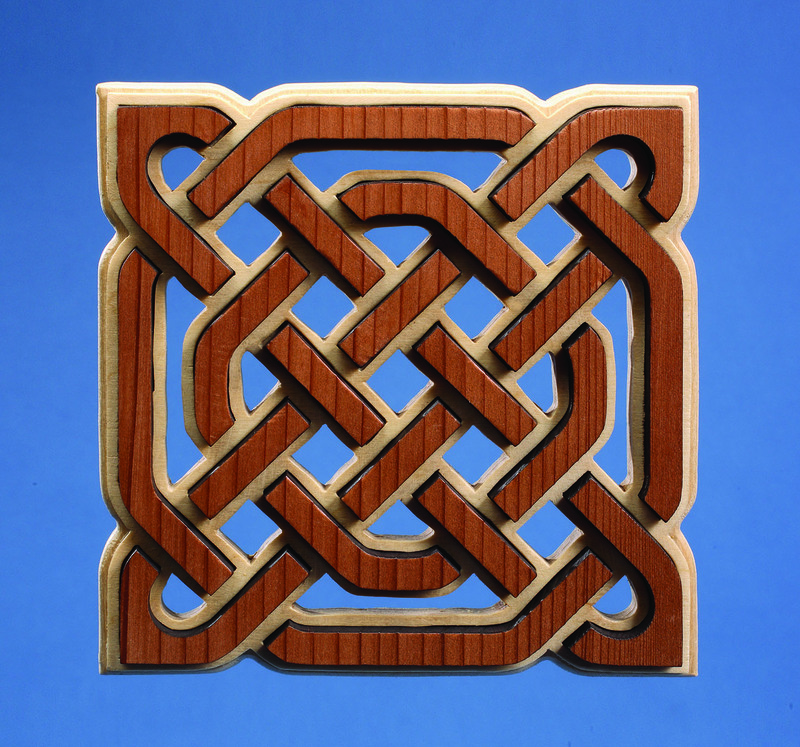 For indoor display, leave the wood natural or finish it to coordinate with your décor. Stack-cut the pattern from colored paper and use the cuttings as overlays to create unique change of address announcements or party invitations. To stack-cut paper, sandwich multiple sheets of paper between two sheets of scrap plywood and wrap the stack tightly with masking tape. The tighter you secure the stack, the better the results. The author used these products for the project. Substitute your choice of brands, tools, and materials as desired.